The health of children in England is being harmed by deepening public sector cuts and "disjointed" government policies, a report has found. The Royal College of Paediatrics and Child Health said the government had failed to improve care in a number of "fundamental areas", such as by banning junk food advertising. It said the government had not made the same strides as in Wales and Scotland. The government said "world-leading plans" for child health were in place. But the RCPCH called for more to be done, including a bigger focus on preventive measures, which had faced "destructive" reductions. Professor Neena Modi, president of the RCPCH, called for "much bolder" policies, adding: "It is no good only throwing money at treating established problems. "There must be far better investment in prevention, which will reap immeasurable long term benefits." The RCPCH tracked the progress made by governments in England, Wales and Scotland against the different recommendations it set the countries last year in its State of Child Health report. At the time, it found child health in the UK was falling behind that of many other European countries. 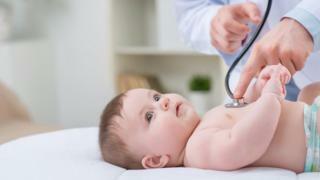 In its follow-up report, the RCPCH said central government had made less progress on its recommendations compared with its counterparts in Wales and Scotland. It found that England had made progress in some areas - including the launch of a digital child health strategy, a new tobacco control plan and the implementation of the sugar tax. However, the organisation said the health and wellbeing of children in the country remained "largely unchanged" and no improvement had been made in a number of "fundamental areas", including on banning junk food advertising and investing in child health research. England was also the only country that had a worsened performance against one of its recommendations - to freeze public health cuts. The RCPCH said data (from a King's Fund think tank analysis) showed councils would spend only £2.52bn on public health services in 2017-18 compared with £2.60bn the previous year. Prof Russell Viner, RCPCH officer for health promotion, said: "Child health isn't being given the political attention it deserves in Westminster, which is disappointing given the real commitments from the Scottish and Welsh governments." The RCPCH report points to Scotland passing its Child Poverty Act and Wales opening a centre for child health research, as examples of the progress the countries were making. Izzi Seccombe, from the Local Government Association, said: "Public health services play a vital role in improving the health of children, young people and adults, reducing the need for treatment later down the line and easing the pressure on the NHS. "Unless this is properly funded, it will put services at risk which are vital in supporting the health and development of babies, children and families." Labour's shadow health secretary, Jonathan Ashworth, said: "This report is a stark reminder that there are over two million children with health-related vulnerabilities being let down by an underfunded and overstretched health system." A government official said: "There is always more to do, but we have world-leading plans in place to safeguard child health by combating obesity, improving mental health and vaccinating against some of the world's deadliest diseases. "In the past year, both teen pregnancy and child mortality have both fallen to all-time lows, and our soft drinks levy is already funding additional breakfast clubs and sports."